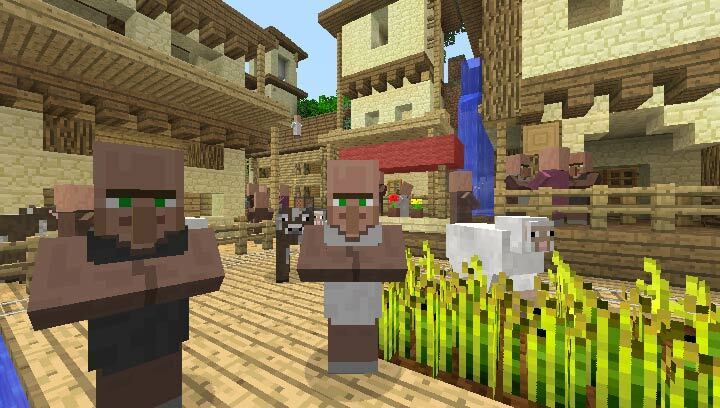 Minecraft is one of the most-loved games in the past decade. As it travels to new platforms it makes concessions as it goes, never quite reaching the excellence of the PC original. Still, there’s tons of fun to be had with Minecraft: PlayStation Vita Edition. ...A few technical limitations show that Vita may still not be the ideal platform to play on — but for now it is by far the best handheld option available. The Vita edition manages to fit all the core gameplay, charm, and creativity of its big screen counterparts into the palm of your hand, anywhere you go and has almost endless lasting appeal. Certainly a must have for all Vita-owning Minecraft fans, and for those that like to be creative. 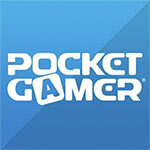 If you are a non Vita-owning Minecraft fan, it’s arguably worth buying a Vita for. 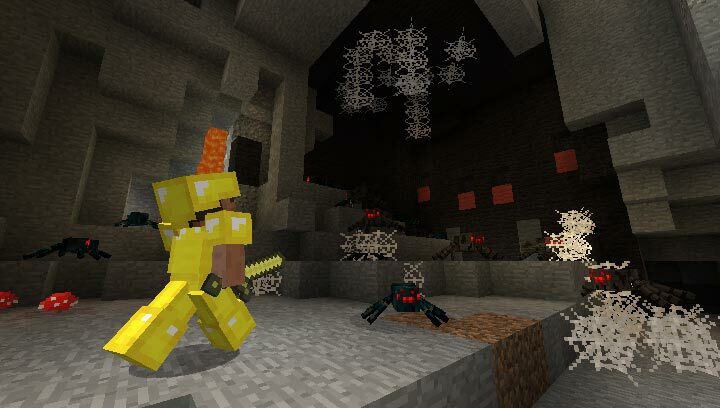 Minecraft: PS Vita Edition is a match forged in heaven, even if it isn’t angelic all of the time. A few minor interface issues and framerate fluctuations threaten to bring this portable port crashing down, but Mojang’s moreish gameplay loop provides the release with strong enough foundations to keep it standing tall. An uncompromising edition of a modern classic, this is an essential addition to your handheld library. It’s amazing. If you haven’t already, go pick it up and get to playing. 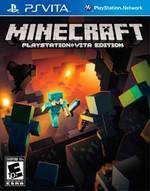 Minecraft: Vita Edition is yet another fantastic port of Minecraft, and yet another top-notch game you can add to the Vita’s library. 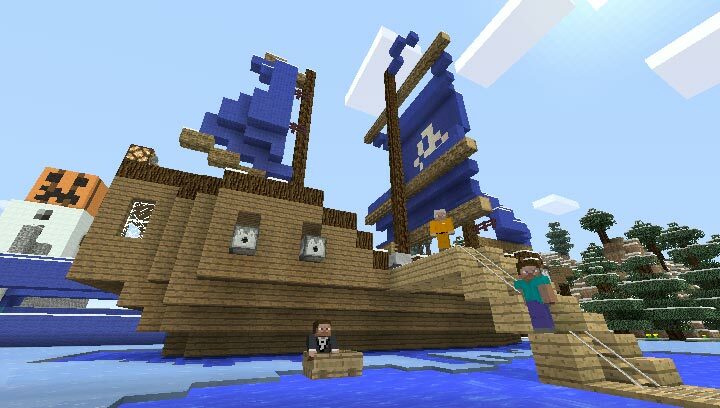 Ultimately, Minecraft is inventive, ingenious, addictive, and hugely time-consuming. It seems massively unlikely that you've come this far in life without having played the game but if so, this Vita version is a nice introduction. 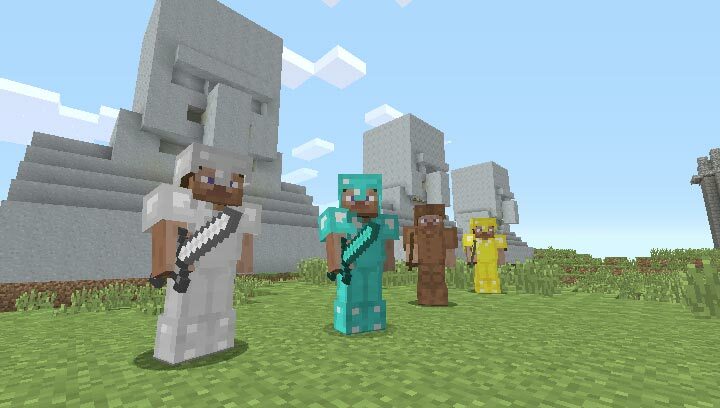 The PS Vita Edition of Minecraft plays well on limited hardware and includes touchscreen support, but one glaring issue keeps it from being a must-buy on Sony’s handheld. Todas las opciones de Minecraft en tamaño portátil. Multijugador para 4 local y 8 online. La edición de Vita conserva todo lo que ha hecho grande a Minecraft, con el encanto de poder jugarlo en cualquier parte. A nivel técnico es mejorable, pero engancha cosa mala... y sin hablar del multijugador. Der kreative Baukasten hat noch nichts von seiner Faszination verloren. Ich denke mir heute noch neue Häuser, Keller, Kuppeln, Statuen und andere Bauwerke aus. ...Minecraft braucht keine Level-ups, XP, Buffs oder Spezialausrüstung, um zu motivieren - es ist fesselnd, weil es mich auf so einfach Weise unendlich kreativ sein lässt. 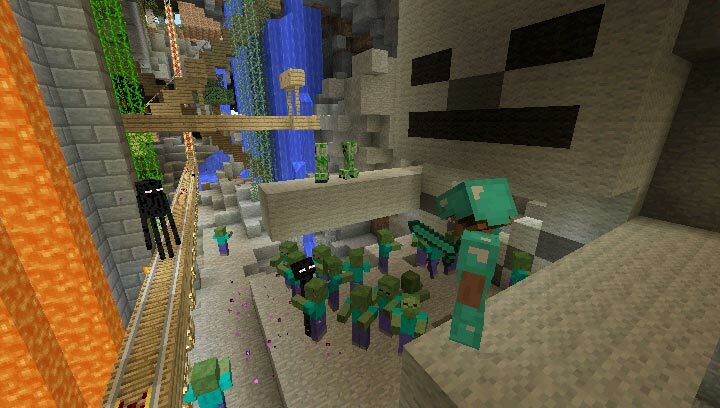 Es ist zwar schade, dass die Spielwelt Grenzen hat – auch in dem Vita-Minecraft steckt allerdings so viel drin, dass mir nur eins bleibt: Viel Spaß mit diesem großartigen Zeitfresser! De PlayStation Vita-versie van Minecraft is misschien wel de beste versie van deze blokkenbouwer tot nu toe. Technisch is de game niet optimaal, met hier en daar een hapering en flink wat pop-up, maar de mogelijkheid om de game overal te spelen met solide besturing maakt zoveel goed dat de game nagenoeg perfect te noemen is. Was de hardware een tikkie sterker, dan liep ook deze versie als een trein en vervielen bijna alle minpunten.